I’m a big fan of the TV mini-series format (or “limited series” as they are often called now). With a regular movie, it’s difficult to completely explore the depths of a character with a two-hour (ish) time restriction. On the flip side, with a regular TV series, it’s challenging to maintain interest, intrigue, tension, and drama, season after season. 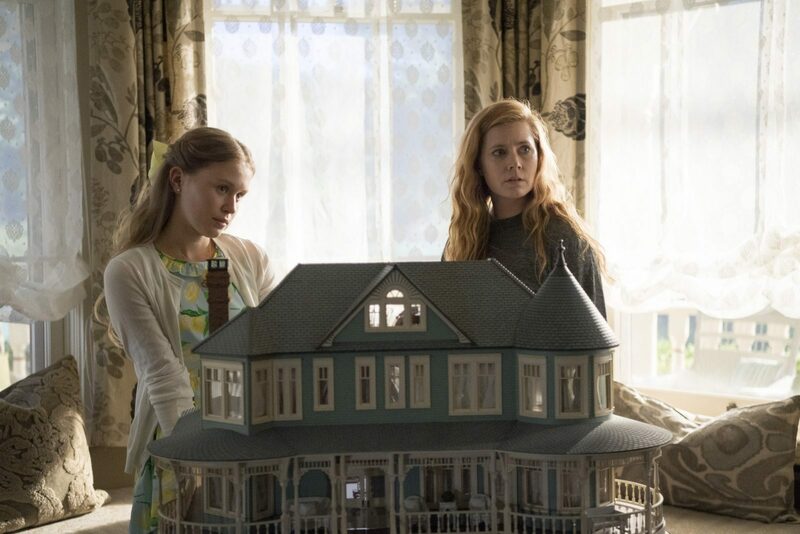 Thus, a limited series is the perfect length to give the audience the best of the best, and HBO’s Sharp Objects based on Gillian Flynn’s novel and starring Amy Adams and Patricia Clarkson did just that! Sharp Objects is a story about a troubled reporter named Camille (Amy Adams) who returns to the economically depressed hometown she has avoided for many years in order to cover the story of two murdered preteen girls. It’s a dark story with many twists and turns that also explores Camille’s complicated past with her hypochondriac, narcissistic mother Adora (Patricia Clarkson) and her newly forming relationship with her beautiful, coddled, rebellious thirteen-year-old half-sister Amma (Eliza Scanlan). Adora and Amma still live in Camille’s childhood “mansion” and rule the small town in their own separate, special ways. The other characters and murder suspects in the town are varied: some are simple-minded and some are eccentric while others are downright cruel. 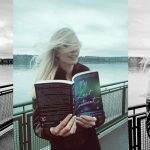 The single breath of fresh air comes from the outside in the form of an out-of-town detective named Richard (Chris Messina) who Camille takes a liking to, and vice versa. 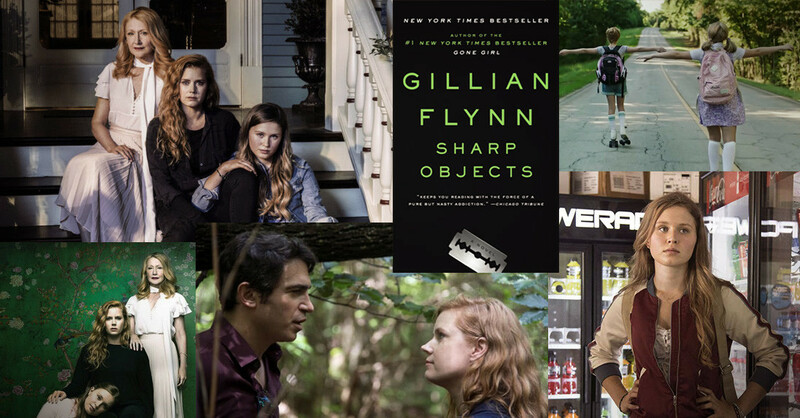 I am a big fan of the novel Sharp Objects written by Gillian Flynn. At only 254 pages, Sharp Objects is pretty slim. With eight TV episodes total, the series is able to go even deeper into some of the character development, relationships, and small town dynamics. 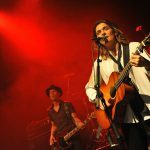 Camille’s haunting childhood is explored through flashbacks, and some of her present-day relationships (such as the one with the detective) are given extra space to evolve and breathe on screen. If you’ve read any of Gillian Flynn’s novels, you know that she can be dark and disturbing in her writing, sometimes to the point of feeling hopeless and bleak. 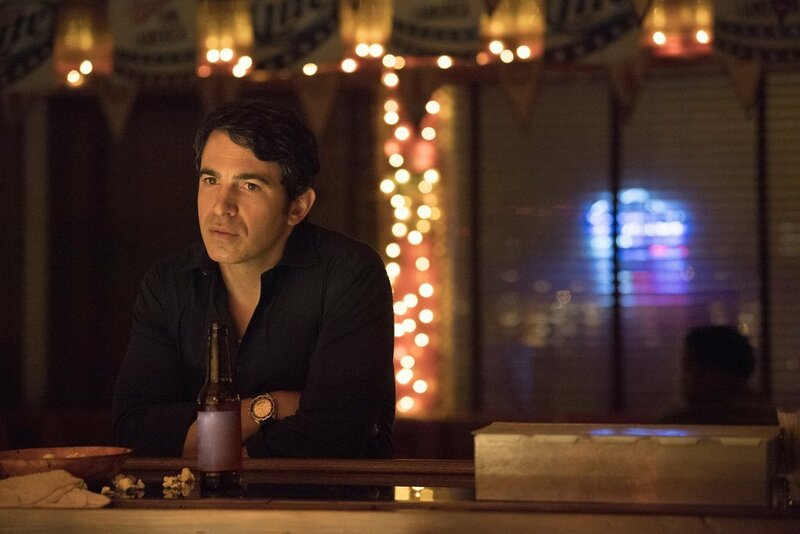 The TV show lifts that veil of bleakness somewhat and punches it up with a little more fun. Clarkson’s brilliant performance as Adora adds great moments of humor in the series. She somehow manages to be histrionic and gracefully contained at the same time. Her character is cutting and warm simultaneously. I often laughed out loud. I would be surprised if this performance doesn’t earn Clarkson some well-deserved award nominations. The story is full of psychological underpinnings that are fascinating, frustrating, sad, and sometimes funny, and the entire cast does a fantastic job of playing with these layers. The cinematography is beautiful yet gritty, and the weather-worn town locations mixed with the opulence of Camilla’s childhood mansion gives the entire series a moody, luscious, raw feeling… all at once. My only big critiques concern the very beginning and the very end of the series (don’t worry: NO spoilers here). The series starts off slowly. The first episode is languid in its pace and Camille feels low-energy. It’s been a few years since I read the book, but I remember Camille on the page as a character with a fair amount of gumption and sass. That’s not really portrayed in episode one though. 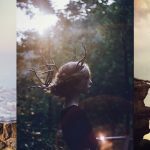 She spends most of the first episode drowning her anxiety and depression with alcohol. By episode two, Camille’s development gets much richer and she starts to really dig her teeth into her reporting job and connect with her younger sister. The murder mystery also starts moving more quickly. So if you don’t feel totally hooked by the end of episode 1, please watch episode 2! The other criticism I have concerns the ending. For a series that takes its time exploring psychological issues and human darkness, it rushes the final conclusion, not even providing a full explanation behind the killer’s motives. That’s pretty strange considering that the book gives the reader a full understanding and it’s pretty interesting and important. As a reader of the book, I wasn’t upset about the truncated TV series ending, because I already know all of the details behind the what, why, and how of the murders. But if you’re someone who hasn’t read the book, this ending will almost surely leave you with some unanswered questions. (Hint: Keep watching through the finale’s end credits. There are quick scene snippets from the murders intercut into the credits, and that helps shed some light… a tiny bit). That said, do not let the somewhat incomplete explanation of the crime make you shy away from the series if you haven’t read the book. Yes, you find out in the series the identity of the killer, and yes, you can fill in some of the blanks about exactly why and exactly how. And if you feel like you aren’t satisfied with what you know, you can always Google it. There are plenty of articles out there dissecting the Sharp Objects finale. Those articles fill in the blanks with the details from the book. And for what it’s worth, my husband – who didn’t read the book – loved the series too, and he was okay with the ending (though afterwards we did talk about the book details that weren’t given in the series). 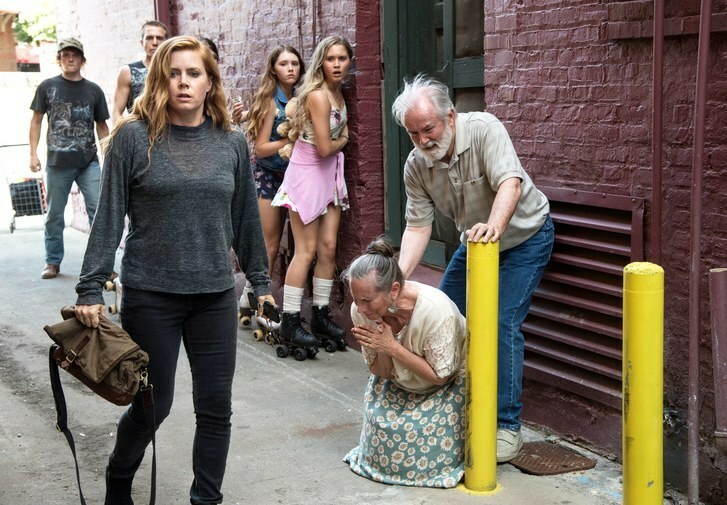 All in all, Sharp Objects is a TV mini-series with a haunting, tense, sometimes quirky atmosphere and an intriguing storyline and strong performances. I definitely recommend it! And I also recommend the book that it’s based upon. Watch all 8 episodes of Sharp Objects now on HBO On-demand, or you can buy the episodes on Amazon.